5.99″ Quad HD+ notch-less P-OLED, UD fingerprint sensor, PureView is back! The Nokia 9 features a 5.99-inch QHD+ tall 18:9 P-OLED display with a resolution of 1440 x 2880 pixels. At the heart is the latest and greatest, flagship Qualcomm Snapdragon SoC of yesteryear (yes, the SD 845!). 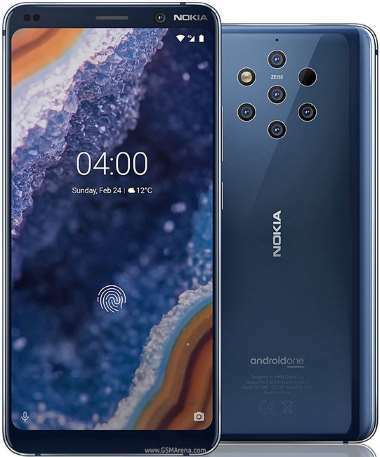 However, there is a generous 128GB of onboard storage on the Nokia 9 PureView aided by 6GB of RAM. With that said, the internal memory is not expandable, as the device isn’t equipped with a dedicated memory card slot. An in-display fingerprint scanner is situated beneath the beautiful HDR-10 compliant P-OLED display. Photography is taken care of by a Penta camera setup at the rear featuring five 12MP (ZEISS lens) (f/1.8) sensors. Meaning, there are 2 RGB and 3 B&W sensors all working together to produce professional camera grade photos. With that said, notice the sixth sensor opposite to the dual LED dual-tone flash? well, that’s the ToF (Time of Flight) camera. The ToF camera helps in gathering depth information and also particularly useful in AR-based applications. The planet’s first Penta-cam smartphone | Image source: GSMArena. As for the selfie camera, a 20MP selfie camera is available for selfie lovers. Both rear and front-facing cameras are able to record videos at a resolution of up to 2160p @ 30fps and 1080p @ 30fps respectively. A rather small for this day and age 3320 mAh battery is onboard to keep the device it going. With that said, the Nokia 9 PureView is equipped with a USB-C port for charging and data transfers. Speaking of which, the device features Fast Charging (18W) (Quick Charge 3.0) (also USB Power Delivery). Also, the Nokia 9 PureView employs Fast wireless charging (10W). Coming to the connectivity side of the device, it has you all covered with Dual-band Wi-Fi 802.11 a/b/g/n/ac, Bluetooth 5.0 LE with support for AptX audio. GPS is available for navigation and location-based services. As expected, a 3.5mm audio jack does not live in the device for all audiophiles out there. 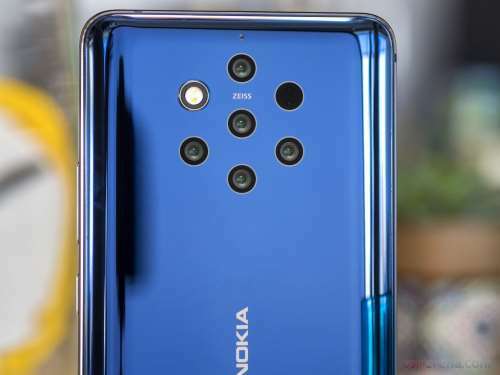 The Nokia 9 PureView ships with Stock Android 9.0 Pie from day one. The Nokia comes in just one paint job called Midnight Blue. The device is priced at $699 in various markets around the globe. 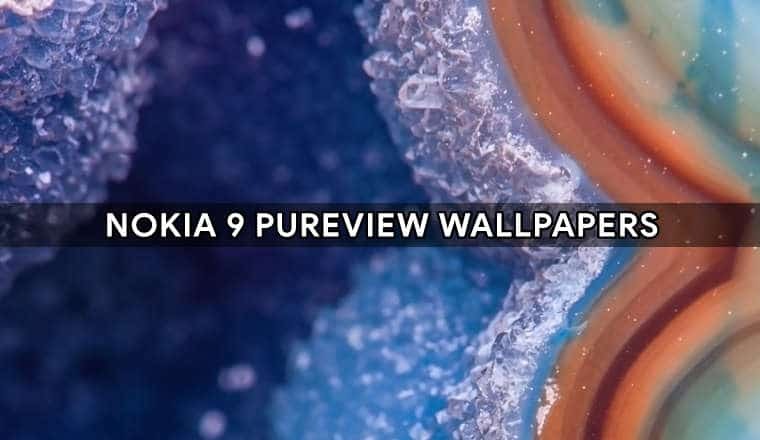 Alright, Now let’s dive into the Nokia 9 PureView stock wallpapers. For now, we just have 1 stock wallpaper of the device. 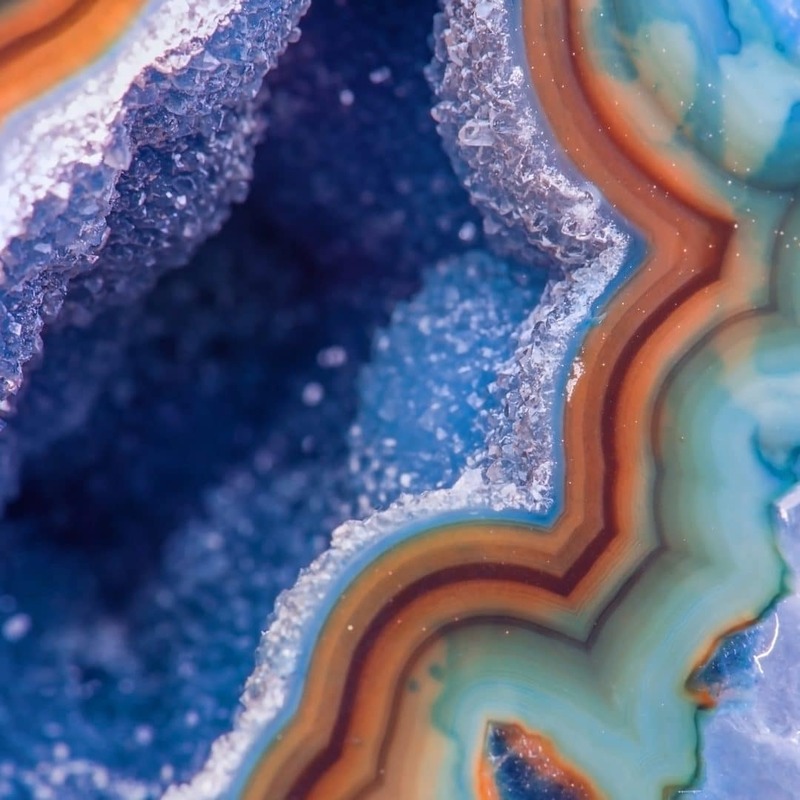 The stock wallpaper looks and feels colorful, saturated, gorgeous and AMOLED-pop friendly. Again, the resolution of the wallpaper is 2565 x 2565 pixels. Download via the Google Drive link given below (ZIP) or check out the gallery (JPG). Note: We’ll add more wallpapers over time, stay tuned!